What if you had a hungry buying audience of 10,000 people who already know, like, and trust you? What if that audience became 100,000 or even 1,000,000 people? What kind of difference would that make in your results? You could experience a flood of sales immediately when you recommend a new product. You could generate consistent income each and every month. You could connect with joint venture partners…who’d love to do a reciprocal promotion with you. Everything becomes infinitely easier when you already have an audience. But how do you attract that initial audience? Join all these social media sites, constantly post content, make connections, and do everything. And that works for some people. But others continue to struggle. They do the exact same things. They participate on the same social media sites. Their posts look similar. They invest even more time in their business, and it still doesn’t work for them. Why does one person succeed and another one fail? And how can you confidently know you’re following the right path…that will take you from where you are to a successful long-term profitable business? 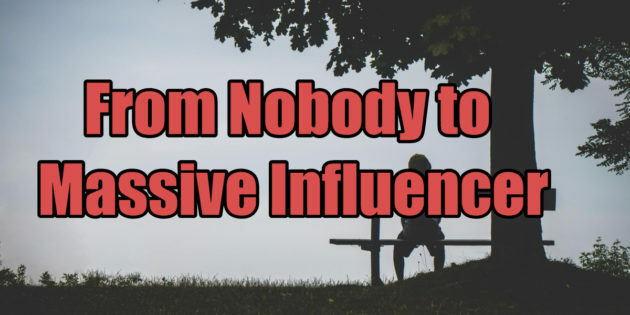 After helping hundreds of clients one-on-one over the past 12 years…and helping thousands of customers over the past 22 years…I’ve discovered systems that help you become a massive influencer anywhere, anytime, in any market. Some of my clients run business-to-business companies where they sell to CPAs, chiropractors, dentists, auto dealers, and others. Other clients profit in consumer markets like foreign languages, tennis, golf, travel, weight loss, stock trading, anxiety, and so many others. No matter what market you’re in or may be considering, it’s likely I’ve helped someone just like you already build a business there. I’ve partnered with online marketer and business coach Frank Garon. Coincidentally, he got his start the same year I did…1996. He was a truck driver who ended up over $100,000 in debt before he went bankrupt. Once he discovered the Internet, it only took him 8 months to go full-time and replace his $35,000 a year truck driving job. He remembers the first time he hit $5,000 a month from the Internet. It was like hitting the lottery. He has held dozens of workshops…including one of his events in the UK with close to 1,000 attendees. You couldn’t meet a more down-to-earth guy. He drives a pick-up and keeps his CDL even though he hasn’t driven professionally in over 22 years. The Internet has given him a lifestyle where he can travel…enjoy his hobbies…and experience Freedom to be the only father who attends all of his daughter’s recitals. Combined, we have over 44 years of online marketing experience.